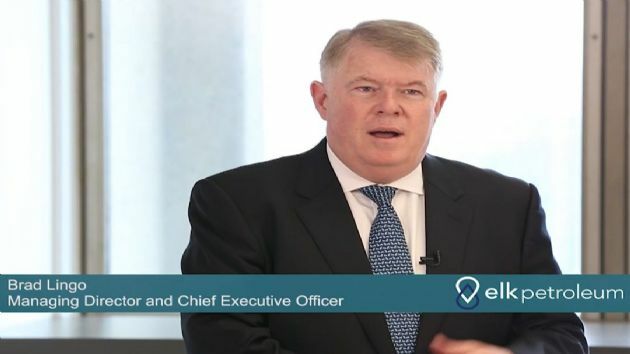 Elk Petroleum Limited (ASX:ELK) (OTCMKTS:EKPTF) provides the Company&apos;s Managing Director&apos;s Address to Shareholders. 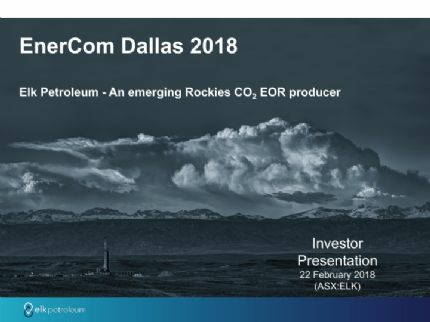 Elk Petroleum Limited (ASX:ELK) (OTCMKTS:EKPTF) provides the Company&apos;s latest presentation at IPAA OGIS Conference Chicago. Elk Petroleum Limited (ASX:ELK) (OTCMKTS:EKPTF) provide the Grieve Project Update presentation with construction well advanced heading into Autumn. The Directors of Elk Petroleum Limited (ASX:ELK) (OTCMKTS:EKPTF) present their report, together with the financial statements, on the consolidated entity consisting of Elk Petroleum Ltd and the entities it controlled at the end of, or during, the year ended 30 June 2017. 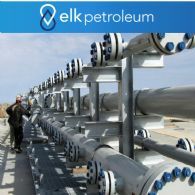 Elk Petroleum Ltd (ASX:ELK) (OTCMKTS:EKPTF) has successfully completed a placement to institutional, professional and sophisticated investors to raise A$27.5million. 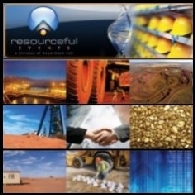 Elk Petroleum Ltd (ASX:ELK) (OTCMKTS:EKPTF) has entered into a purchase and sale agreement with Resolute Energy Corporation to acquire a subsidiary of Resolute which holds majority ownership in the Greater Aneth Oil Field for US$160 million (~A$200 million). Elk Petroleum Limited (ASX:ELK) (OTCMKTS:EKPTF) provides the Company&apos;s latest presentation at Good Oil Conference. Elk Petroleum Limited (ASX:ELK) (OTCMKTS:EKPTF) is pleased to provide this update on the progress of the final field development construction for the Grieve CO2 EOR Project. Elk Petroleum Limited (ASX:ELK) (OTCMKTS:EKPTF) provides the Company&apos;s latest presentation at Noosa Mining & Exploration Conference. 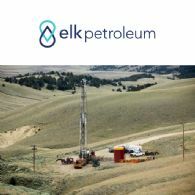 Elk Petroleum Ltd (ASX:ELK) (OTCMKTS:EKPTF) advises that further to the annual review process under the Employment contract of Mr Brad Lingo, the Company&apos;s Managing Director and Chief Executive officer, the Board has resolved to increase Mr Lingo&apos;s Fixed Annual Remuneration. 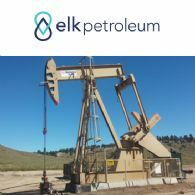 Elk Petroleum Ltd (ASX:ELK) (OTCMKTS:EKPTF) is pleased to announce that Elk will changed its reporting currency from Australian dollars to US dollars effective from 30 June 2017. The quarterly activities and cash flow reports for the quarter ended 30 June 2017 and the full-year financial report for the year ended 30 June 2017 will be presented in US$, including all comparative information. Elk Petroleum Ltd (ASX:ELK) (OTCMKTS:EKPTF) is pleased to advise that it has made the final US$5.5m milestone payment of a total acquisition price of US$17.5m to acquire a ~14% working interest in the Madden Gas Field, the Madden Deep Unit Gas Field and the Lost Cabin Gas Plant in Wyoming, USA from subsidiaries of Freeport-McMoRan Inc..
Elk Petroleum Limited (ASX:ELK) (OTCMKTS:EKPTF) provides the opportunity to listen to an audio interview of Brad Lingo, Managing Director and CEO updating shareholders on the progress of the Grieve Project and the Madden Gas and CO2 Field and the Lost Cabin Plant. 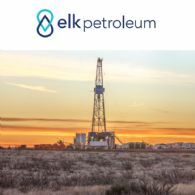 Elk Petroleum Limited (ASX:ELK) (OTCMKTS:EKPTF) is pleased to provide the Company&apos;s latest EGM Investor Update presentation. 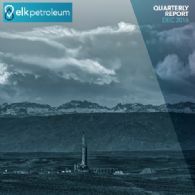 Elk Petroleum Limited (ASX:ELK) (OTCMKTS:EKPTF) is pleased to provide the Company&apos;s Quarterly Activities and Cashflow Report. 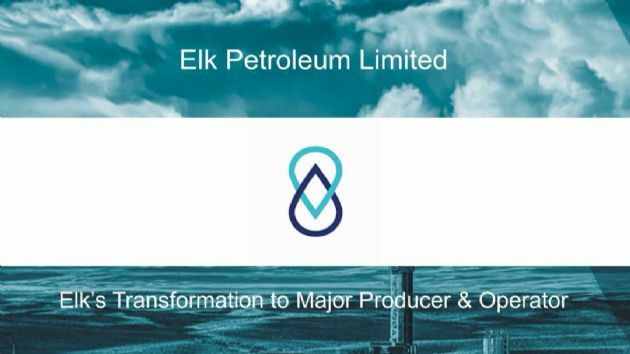 Elk Petroleum Limited (ASX:ELK) (OTCMKTS:EKPTF) is pleased to provide the Company&apos;s latest presentation for Corporate Update. 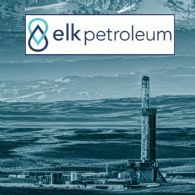 Elk Petroleum Limited (ASX:ELK) (OTCMKTS:EKPTF) is pleased to advise that following an independent review by Netherland Sewell & Associates, Inc. the Reserves for the Madden Gas Field have materially increased and that gas production from the Madden Gas Field for the first quarter of 2017 is running well ahead of previous forecasts. 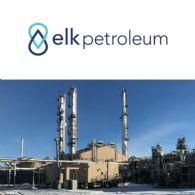 Elk Petroleum Ltd (ASX:ELK) (OTCMKTS:EKPTF) is pleased to advise that its acquisition of a ~14% working interest in the Madden Gas Field, the Madden Deep Unit Gas Field and the Lost Cabin Gas Plant in Wyoming, USA from subsidiaries of Freeport-McMoRan Inc. (NYSE:FCX) has closed. 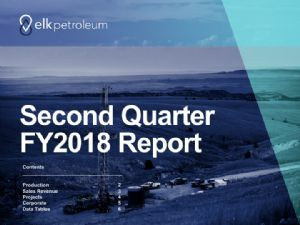 The directors present their report, together with the financial statements, on the consolidated entity consisting of Elk Petroleum Ltd (ASX:ELK) (OTCMKTS:EKPTF) and the entities it controlled at the end of, or during, the half-year ended 31 December 2016. 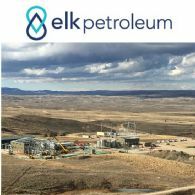 Elk Petroleum Limited (ASX:ELK) (OTCMKTS:EKPTF) is pleased to advise that it has executed a closing agreement with subsidiaries of Freeport-McMoRan Inc. in relation to the acquisition of FCX&apos;s ~14% interest in the Madden Gas Field, the Madden Deep Unit Gas Field and the Lost Cabin Gas Plant in Wyoming, USA, previously announced by Elk on 4 January 2017. 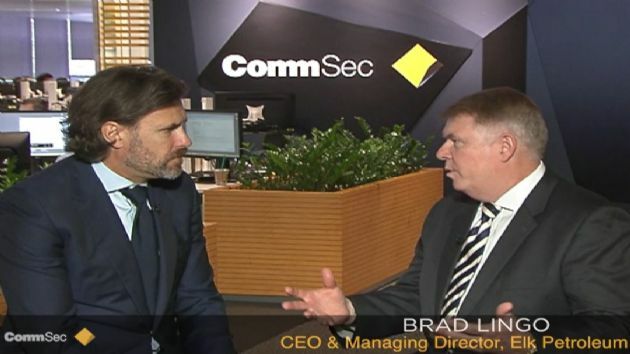 Elk Petroleum Limited (ASX:ELK) (OTCMKTS:EKPTF) provides the opportunity to view a video broadcast of Brad Lingo, Managing Director and CEO discussing the release of the December 2016 Quarterly Report and the acquisition of the Madden Gas and CO2 Field and the Lost Cabin Plant. 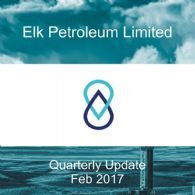 Elk Petroleum Limited (ASX:ELK) (OTCMKTS:EKPTF) is pleased to provide the Company&apos;s Proactive Investors Series Presentation held on 31 January & 1 February 2017. 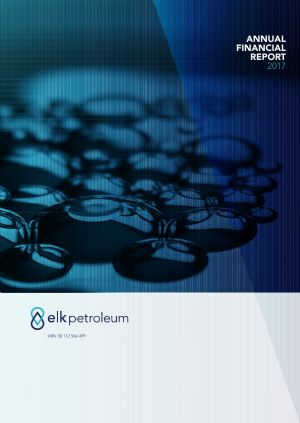 Elk Petroleum Limited (ASX:ELK) (OTCMKTS:EKPTF) are pleased to provide the Company&apos;s latest Quarterly Activities and Cashflow Report for the period ended December 2016. The 20:20 Investor Series brings together local and international mining companies, the investment community (both institutional and private) and related industry services in a highly focused resources investment forum. Elk Petroleum Limited (ASX: ELK), through its wholly owned subsidiary Elk Petroleum, Inc., has signed an oil and gas lease agreement with the Crow Indian Tribe over sovereign lands held by the Tribe in Montana. The acreage comprises 88,420 acres and is close to the area where Elk already controls an additional 11,930 leased acres. The company maintains a 100% working interest in the total lease areas held, and under the terms of the Crow Tribe lease is able to assign interest to third parties with approval of the Tribe. Elk Petroleum Limited (ASX: ELK) - Further Production Increases at Sand Draw South - Mr Richard Wood, CEO; Boardroomradio is pleased to announce that Elk Petroleum Limited (ASX: ELK) has published an audio file.